Asus is largely responsible for kickstarting the whole netbook market when it released the original Eee PC back in 2007. 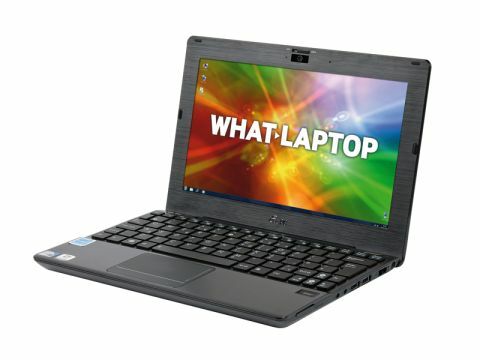 Since then it has released a broad range of netbooks, but has returned to its roots with the Eee PC 1018P. Unlike some of Asus' earlier Eee PC models, this netbook boasts a high-end look and feel thanks to the brushed aluminium design. We can't remember seeing such a subtly stylish netbook before and the matt finish means it's also impervious to scratches and scuffs while you're working at home or out and about. The 1.1kg chassis isn't a problem to carry around for hours on end and the strong battery life of 359 minutes gives you almost six hours of power, so it is great for those after a truly portable option. Equally impressive is the 10.1-inch screen, which looks great encased in the brushed aluminium bezel. Brightness is good, as is detail thanks to the 1024x600-pixel resolution, but it's the vibrancy of colours that pleases the most, and those looking for a netbook to watch films and view photos on will find a lot to like here. The keyboard continues the good run of form, and the isolated style allows for a crisp, clean action that's also surprisingly firm – regular typists will have no problems typing for hours on end. Somewhat irritatingly, however, the touchpad is easy to brush when typing, so you may have to adjust your style to avoid sending bits of text flying across a word processing sheet, for example. The Intel Atom N475 processor provides enough power for running office applications one at a time, but more resource intensive programs will quickly cause the netbook to show signs of lag. Those after both power and portability would do well to check out an ultraportable laptop instead. The netbook is crammed with great features. For starters there's Asus' ExpressGate software, which allows you to boot into a separate operating system to check emails and browse the internet. Two USB 3.0 ports are included, so you can transfer data to a compatible external hard drive at fantastic speeds, and there's also a fingerprint scanner, which is great for those after extra security. An inclusion we are particularly impressed with is the 500GB of free online storage. This means you can save a vast amount of content from the 1018P's 250GB hard drive to Asus' servers and access it from anywhere in the world, adding convenience and security. We were extremely impressed by the Eee PC 1018P. It's great to look at, great to use and offers commendable portability. The only slight shame is the touchpad, but don't let that deter you.